In this battlefield you and Boiling Bolt will be outnumbered, but there's a battle to fight against a massive army. Until you accomplish your mission. Or have your Boiling Bolts and Frying Nuts splattered from here to eternity. 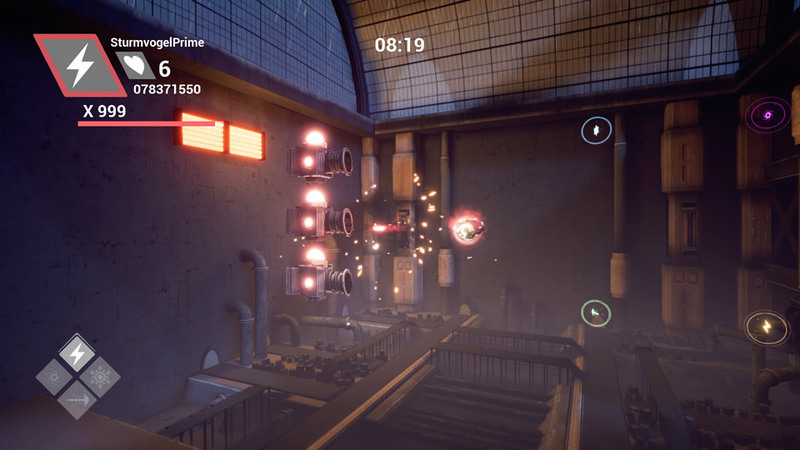 Playdius hits the shooting scene after their Robotron clone NeuroVoider, this time they bring us a different kind of game with their next title: Boiling Bolt. What is a Boiling Bolt?, that's not just the name of the game, it's also the name of the ship you're using. Your Boiling Bolt's main weapon is the "Basic Shot", like its name implies is a simple straight shot which can be aimed in either frontal or rear direction. A curious thing about this shot is that if you "aim diagonally" the bullets will be fired from the upper part of the ship or the lower rather than a centered shot. This curiosity can be explained later, but before let's talk about the Special Weapons of the Boiling Bolt. THUNDER LOCK: This is the Thunder Force V Free Range-like weapon that locks multiple targets within the cone's range. The only flaw is its minimal damage which makes it similar to the Thunder Force VI version of the Free Range. Hold the Right Trigger and use the Right Analog Stick to move in any direction. WARP LAUNCHER: The "Black Hole" It will absorb enemies, bullets, and EVEN YOU if get caught on its range. Holding the Right Trigger will determine de distance of this weapon. ICE SHIELD: Your "Defensive Type" weapon, by holding the Right Trigger, your ship will generate a force field until its release by either stop holding the RT or until its fully charged. The charge will release an explosion covering a certain radius, also it makes you invincible for a few seconds. PLASMA WHIP: This is a "Multidirectional" short ranged weapon that inflicts great damages. By holding the Right Trigger and the Right Analog Stick will fire this energy whip, moving the right stick will change the whip's direction. SPREAD: This is a basic Spread Shot that fires in 3 directions. ¿Remember what i've mentioned before about the centering of the Basic shot?, Here's the reason about that curious thing. The aiming is for the Spreads, this are full multidirectional shots that can be fired at any angle., but here's the catch: They have a low fire rate compared with the Basic Shot. SUPER SPREAD: The "Complete" version of the Spread. This weapon fires in 5 directions. Like the normal Spread, it has a low fire rate and reduces your ship's speed. No 2-Player game can't be complete with a special weapon, and that's the THUNDER LINK, This special weapon creates an electric link between both players capable of destroying enemies. But to make this weapon work, both players have to equip it. Along with the weapons, you have a Dash function that launches your ship on a short distance quite fast, just be careful when you dash around, since you can get killed if you touch an enemy since you have a more traditional Megaman X-esque dashing rather than Alien Soldier's Zero Teleport. Also, if you dash very closely to a bullet or an enemy, you'll trigger the Bullet Time, a time slowdown that not only gives you a brief moment to escape, but also slows your enemies and their attacks and this is also the score mechanism of the game. Like the Witch Time in Bayonetta and the Climax Mode from After Burner Climax, destroying enemies during the Bullet Time increases the multiplier faster than the normal pace, helping you to reach the maximum multiplier of x999. The weapons can be bought in the Shop option, which can only be accessed before starting the game. Like in U.N. Squadron, Carrier Air Wing, Fantasy Zone and Steel Rain X, this shooter involves "Money Investment". In Boiling Bolt, money comes from "Crystals", which can be obtained after killing enemy formations. 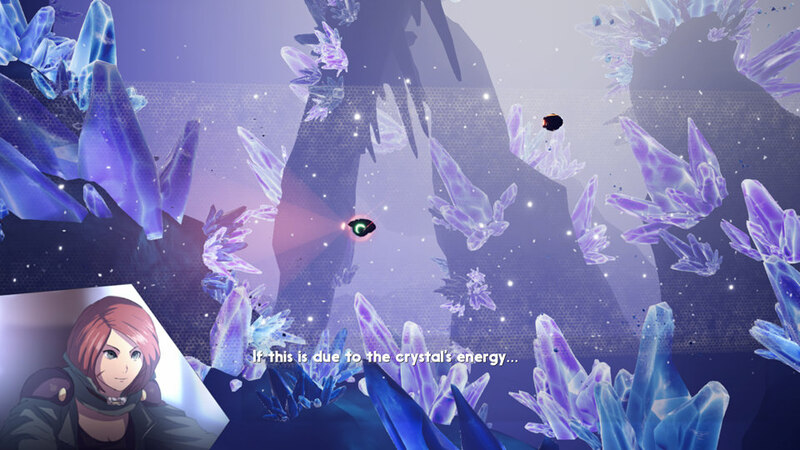 Fortunately, you can keep all the crystals you've obtained when you get Game Over and you're sent back to the Main Menu. STRENGTH MODULE: This is the basic Power Up item, just like the Power Raiser in Megaman Legends. Adds +1 in the Basic Shot's strength. DEFENSE MODULE: The basic Armor-Up item, adds +1 in Defense, which means start the game with one more life in your default lives stock. SPEED MODULE: To complete this "Starter Deck" of basics, this adds +1 to your Boiling Bolt's speed. 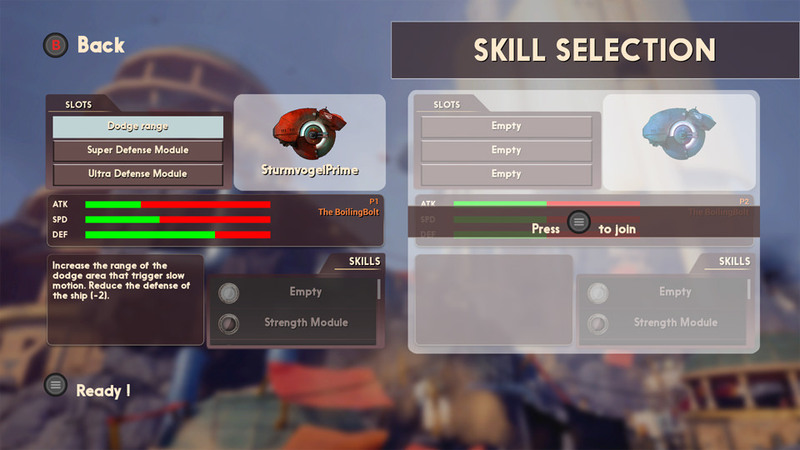 SUPER STRENGTH MODULE: Doubles the strength of your shots adding a +2 boost, but reduces the Speed to -1. ATTACK AND SPEED MODULE: Gives +1 to Attack and Speed, but reduces the Defense to -2, which means start with less lives. SUPER SPEED MODULE: Gives a Speed boost of +2 to your ship, but reduces Attack to -2. SUPER DEFENSE MODULE: Increased the Defense gauge by +2 giving you more lives, but reduces the Attack to -2. 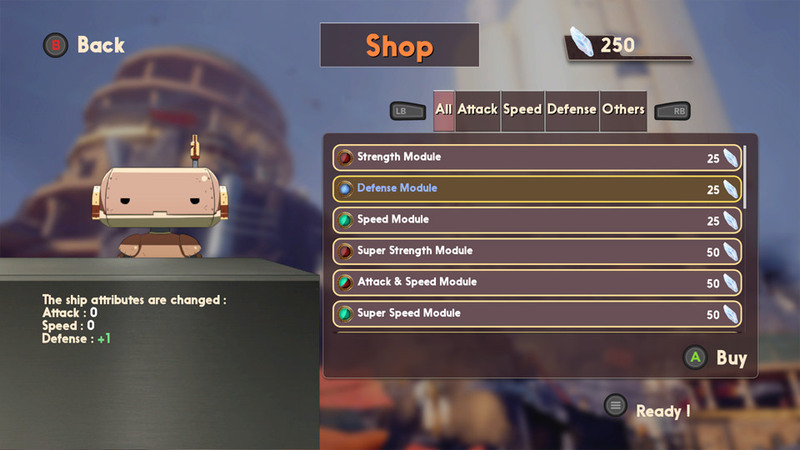 SPEED AND DEFENSE MODULE: Speed and Defense are increased by +1, once again Attack suffer a -2 reduction. ATTACK AND DEFENSE BONUS: This addresses the problem of sacrifying defense and downgrade of the ship's attack by adding a +1 to both Attack and Defense, Speed is reduced by -2. MEGA SPEED MODULE: Increases your speed by +2, but reduces Attack and Defense by -1. MEGA STRENGTH MODULE: Gives a firepower boost of +3 to your ship. But reduces Speed by -2 and Defense -1. ULTRA STRENGTH MODULE: Increases your Boiling Bolt's Attack strength to +4, but reduces Speed and Defense to -2. ULTRA SPEED MODULE: Increases the ship's Speed by +4, before you yell "I feel the need... The Need for Speed!" better know that your Defense will drop by -2 and Attack weakens by -1. SPREAD SHOT: Changes your Basic linear shot for a Basic 3 way shot. THUNDER LINK: This is a 2-player only weapon, to make it work, both players have to equip it. ULTRA DEFENSE MODULE: This one focuses on giving you the largest number of lives possible by adding a +4 in Defense, reducing Attack and Speed by -2. DODGE RANGE (150 Crystals): Increases the range of the Slow Motion area, sacrifying your Defense by -2. SUPER SPREAD SHOT (150 Crystals): Replaces your basic shot for a 5 way spread shot, like the "S" item in Contra. Unfortunately, this Spread Shot reduces your ship's speed and has a slow fire rate. SUPER BONUS (250 Crystals): Increases Defense by +2 and Speed by +1, reduces Attack by -2. MEGA BONUS (500 Crystals): Increases Attack and Speed by +2, but Defense takes the worst part with a -3 reduction, ouch. Like in Megaman Legends, the game allows you to equip upgrades in slots, Combining upgrades will drastically affect your ship's performance. My strategy for survival is to focus on Defense. That means buying and installing the Dodge Range, and both Super and Ultra Defense Modules to start with 9 lives and 3 continues. ATK: The Attack Meter represents the power of your Basic Shots. SPD: This is the Speed indicator which tells you how fast will be your ship. DEF: The Defense gauge will determine the overall amount of Hearts you'll have per life. Hearts are your lives, while "Lives" are Continues. You'll start with a default of 5 Hearts and 3 Lives. 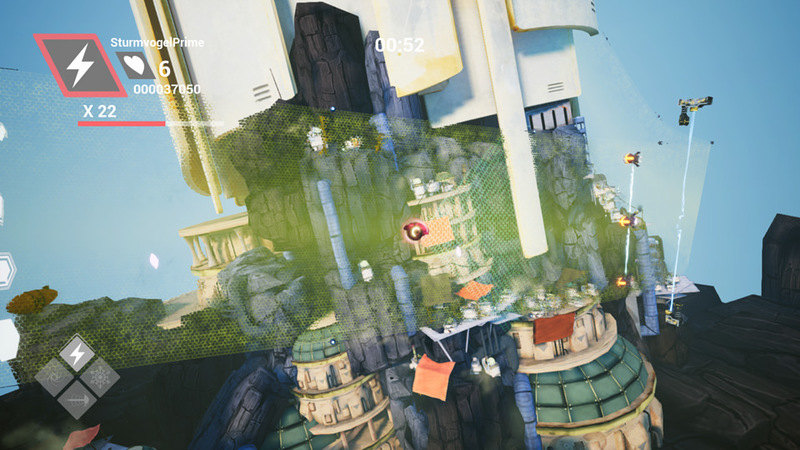 The gameplay is quite different from your traditional horizontal shooter like Phalanx or U.N. Squadron, as the game aims for a more "Open-world" Horizontal shooter like Defender and Fantasy Zone. However, this game is a Fantasy Zone clone, up to the money picking premise. As an Open World shooter, you can move left or right. But unlike Fantasy Zone, there's a couple of diferences. Isn't nice to have a game when nothing interrupts your mission, not even conversations? The first one, the scenery doesn't loop as the game will frequently put "borders", and second your movement range takes 80% of the whole screen, as the "grid" confines your ship and your enemies, making evasive maneuvering more narrow. Bullet patterns aren't Touhou Project or Strikers 1945 III, but they can be quite troublesome if you don't know how to deal with a situation, specially when multiple enemies or a few spread shooting ships appear on the scene. The most viable solution to survive is to rely on two specific weapons: The Warp Launcher and the Plasma Whip, as the Warp Launcher can absorb enemy bullets and hit stage hazards at a safe distance for the player, this can be used perfectly in Stage 3. Another solution to the bullet patterns is to use the Bullet Time, which slows enemies and their bullets for a few seconds. But also increases your score multipliers faster than normal, This is where the Plasma Whip comes in handy, combined with your Basic Shots, even if the Bullet Time slows'em down, you can use the fire while moving forward to make a shorter stream with more bullets, this trick is good on most boss battles of the game. The fun part of the game is to reach the highest score possible on each section of the stage, keeping the counter on "x999" is essential to achieve "Rank SSS" on every section of the game and increase the overall Rank of the stage. For a game called "Arcade", this default mode has some Story Mode-like elements like dialogues during the stages. But unlike Giga Wing and Triggerheart Exelica, the gameplay doesn't interrupt as you can keep moving, shooting and destroying things while they're talking just like in Silpheed The Lost Planet, Xenoraid and Otomedius Excellent. One of the most annoying things of this game is to sacrify half of your score each time you continue. ¿Remember Hyperion's "New-U" respawn thing from Borderlands?, ¿Remember how obnoxious that 10% money loss was?, in Boiling Bolt its back, and worse than ever, as it means losing half of your hard earned score. Not to mention, if you die without making a single point, you can continue like usual (i discovered that killing myself deliberately), so if i can continue without losing points, ¿What's the point of losing half of them to continue?. I could accept that if that means not using a continue by consuming half of my score or start with more lives, but instead it only works for one thing: To irritate you. Despite addressing the common flaw of resetting your score to zero like in other Hi-Score based shmups like Blazing Star and G-Darius or adding a "1 point per continue" like 19XX The War Against Destiny and Aero Fighters 2, this score resetting is a flaw that could be avoided during its development. But the greatest flaw that you can find in this game is "Sacrifying Defense points means starting and continuing with less lives", this can be fatal for those who want to complete the game in a "perfect run". In any RPG or a game with RPG elements like Terranigma, Castlevania Symphony of the Night and Mass Effect, increasing or decreasing the Defense means you'll take more or less damage, working appropiately because of the use of a Hit Point counter or a life bar. Thus, the execution of the Defense status in Boiling Bolt is a total failure because increasing your defense doesn't have to mean to reduce your overall strength for the sake of defense. Hit the three 9's is easy when you know how. Along with the Arcade mode, there's also unlockable modes like Stage Select, where we can play one stage in particular, Training which is a revisit to the "Tutorial Stage", Challenge, where you have specific objectives like clearing a level without using the four special weapons or using a specific weapon, and finally, "OneHitOneKill" which is a kill all the enemies possible without dying once. You know what it would be nice to include?, Unlockable galleries and "Reports" like in Thunder Force V and VI to explain what's up with the game and its ending. The only thing we know is that people live on floating islands since the Earth was devastated by a war thousands of years ago, but they don't explain why the surface is inhabitable. ¿The continents sunk?, The land became radioactive?, nobody knows, and it begs a little explanation about that. As for a gallery, i guess there was plenty of concepts, sketches and bonus art that deserve to be shared with the shmup community. That would be greatly appreciated. It's always nice to see Anime-like designs, but a little more animated cutscenes would be better. The graphics of this game are quite of space-bending stuff, as the game is horizontal, the angles are more spherical on the background movement and the game angles into a Viewpoint-like perspective adding a very intense depth to the field and its sorroundings. The game calls it "Dynamic View", which adds a new element of visual to the Resogun-esque environment you're confined, think about this as a more complex version of the camera view in R-Type Dimensions. The mechanical design is a breath of fresh air from the common use of aircraft or mechas as you have this spacepod for a ship. Like Stardust Galaxy Warriors Stellar Climax, there's enemies that combine a steamboat look, but this time they look convincingly enough like a ship. As for the character design, this game offers us the never disappointing Anime designs and when i say never disappointing, i mean it. After being bombarded with Minimalism and American style cartoon and comic look, it's nice to be back to this familiar style. However, the game has some good ideas, but some of them are forgettable, specially the bosses. Starting with the Stage 2 boss which reminds me of the giant eels from the underwater stage of Metal Slug 3, and not to mention the final boss, Enkidd. Thinking of a kid wearing XXL swimming shorts as a god-like being piloting an ancient mecha makes the ORN Emperor from Thunder Force VI look like Megatron if we compare it with him. Cutscene quality in Boiling Bolt, one level above Raiden V and Xenoraid, but still is not good enough. The cutscene parts of the game seems to take a very bad hit, with the opening having a short FMV (Full Motion Video) anime sequence mixed with demo gameplay, the level cutscenes are not just still images, they're images with only sound effects and music. No voice acting or something. Think about the Story Mode cutscenes of Triggerheart Exelica Enhanced, but "nerfed" even more, making the cutscenes of the NES Ninja Gaiden games look like real animations. I know i'm dealing with an "Indie" game, but i saw better stuff before like the cutscenes from Broken Thunder which were very impressive despite being a bad game. So, in Boiling Bolt's case, there's no excuse since they gave us a fully animated introduction. 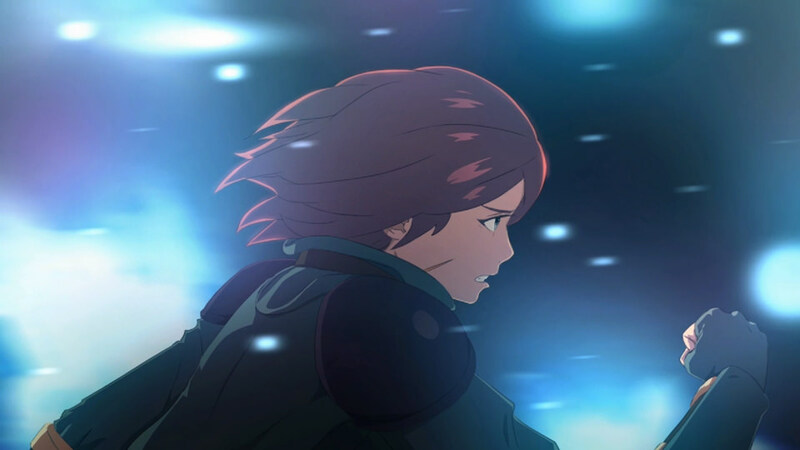 As for the music, i think Aurélien Montero took several influences from Harumi Fujita and Masahiro Kajihara, since it combines the electronic paces with piano keyboards just like Blazing Star and Triggerheart Exelica did. These games took the unusual combination of piano and trance-techno beats to form an unique hybrid style that creates a new atmosphere on the game's soundtrack. Boiling Bolt does the same thing most of the time, 'cos there's a few moments where the music changes to an epic-orchestrated like type of music that will make you think of an RPG like Final Fantasy XV, specially on the last sections of the fourth stage prior to the boss battle. - If you want to buy all the items in a single shop visit, you will need a total of 4025 Crystals. - The current design of the Boiling Bolt is actually it's third concept design. - June is perhaps the tallest of all Shmup redheads with 1.70m tall, 9.7cm more than Leefa Chao from Blazing Star and 5cm above Crueltear from Triggerheart Exelica. - However, if we compare June's height with other shmup girls, she has the same height as Cenes Crawford from Thunder Force V.
- Early drawings of the game depict June in a more realistic/comic-like look, implying the game artwork would had a comic style before shifting to the more popular anime styled look. - The empty eyes of the Sorceress could possibly imply she's possessed by Enkidd rather than acting on her own. 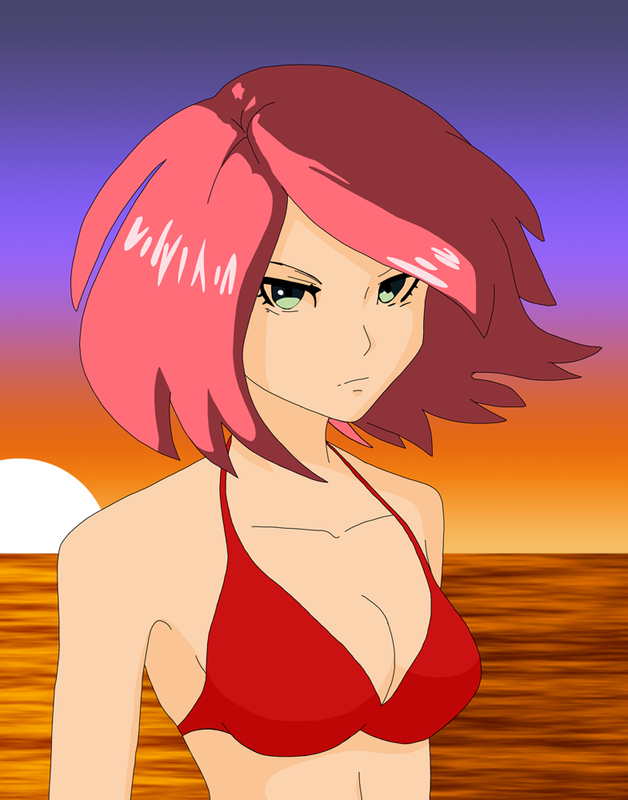 - Speaking of eyes, the game artists doesn't seem to agree with the color of June's eyes. In some artworks she appears with green eyes, others with blue. The same goes for the cutscenes where she appears with almost gray eyes. - Some videos (mostly of the PC version) showed the Main Menu had a game demonstration as background instead of a view of the town of Scire. It is possible those videos were from either demo versions of the game or maybe the game has differences in the console and PC ports. - The Stage 3 achievement name "Tear of Fire" could be based on the fact that June cried holding an agonizing Major in her arms as Scire burnt. - The quote "Oh my God!, You killed Enkidd" on the "Broken Dream" achievement comes from South Park's famous phrase "Oh my God!, They killed Kenny". - There's a total of 24 images in the "Arcade" mode cutscenes. - A plot inconsistency can be found at the beginning of Stage 4, where June says the Major told her to go to the desert where Boiling Bolt was found. However, there's no such dialogue in neither the previous stages or cutscenes. - Boiling Bolt won the "Best Game Award" of Indie Game Factory at Festival Animasia in Bordeaux. Despite the obnoxious features, Boiling Bolt features some new elements that will keep players coming back for more. It manages to deserve its place in your console and PC library of shmups. To end this review, here's a little bonus that a friend of mine did. June deserved at least a summer/beach pic. Damn Playdius.